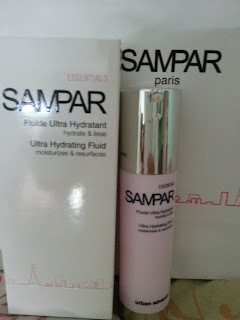 I received this full size product Sampar Hydrating Fluid for product review. 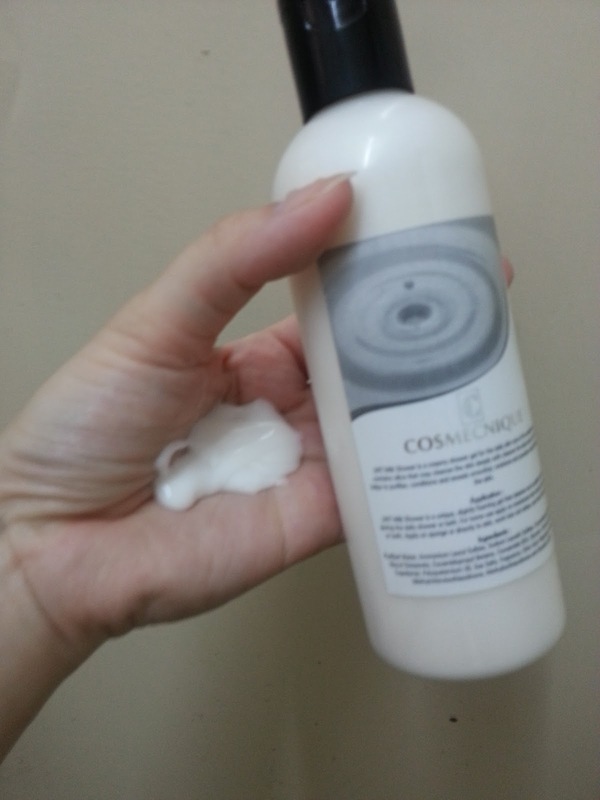 This is for long-lasting moisturizing face care suitable for all skin types. You can refer to image below for ingredients. 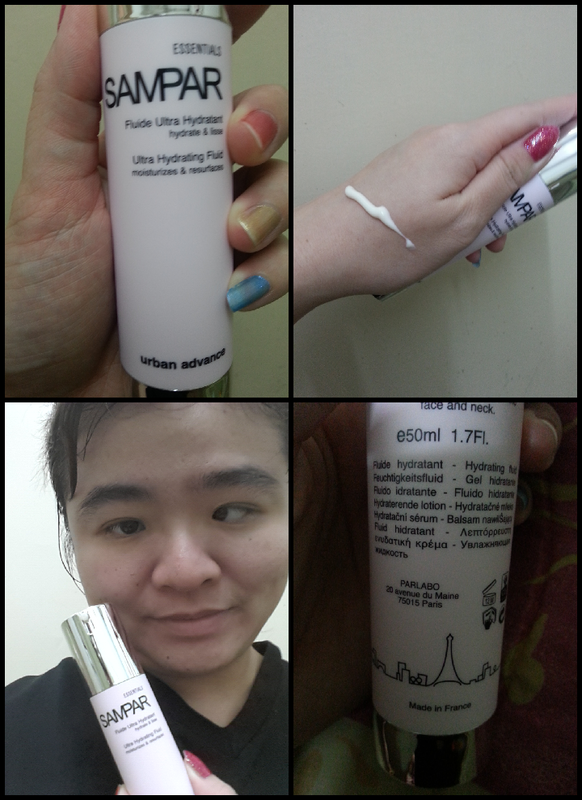 I find this product easy to use and with just one full pump it is enough for my face. Look at the picture below you can see how much it is with just one pump. 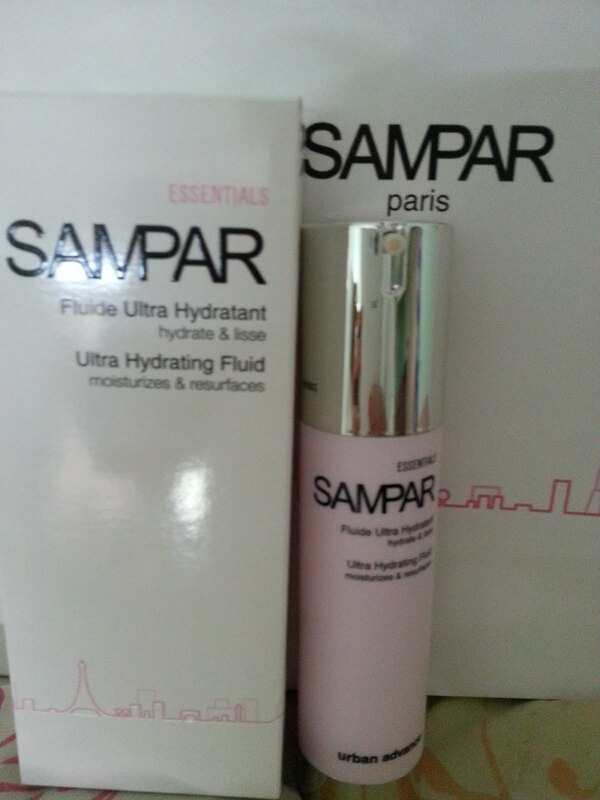 The Sampar Hydrating Fluid is easily absorb to my skin, I love the light rose scent of this product. My skin instantly feeling smooth and soft. I have been using this product for three weeks. I apply this product on cleansed skin twice a day, in the morning and evening. You can find Sampar Ultra Hydating Fluid 50ml RM276 at Sampar counter in Parkson, Sunway Pyramid. 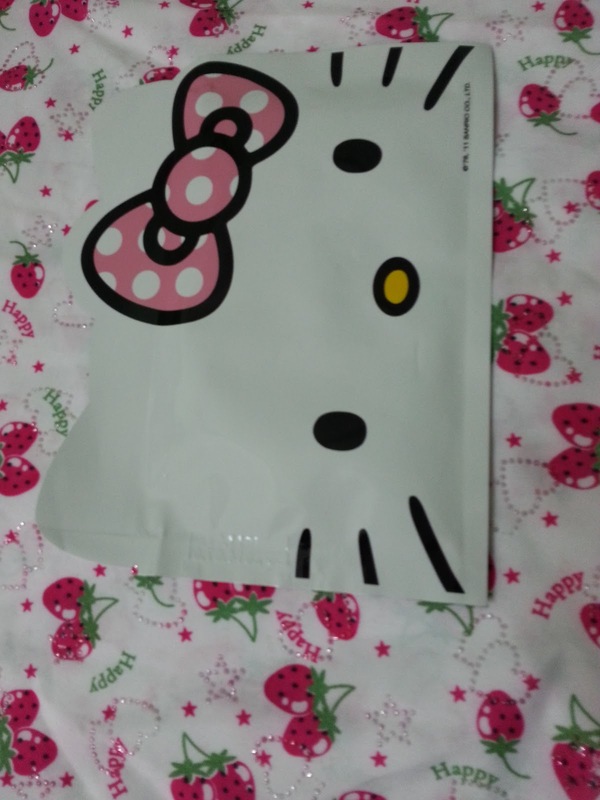 I am sure you like to get your hands on this cute Hello Kitty Mask, find out how on how to take part and win. 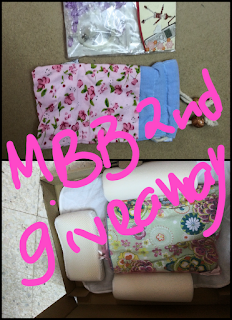 I am happy to tell you that there is one lucky winner in my 1st giveaway, who is it? 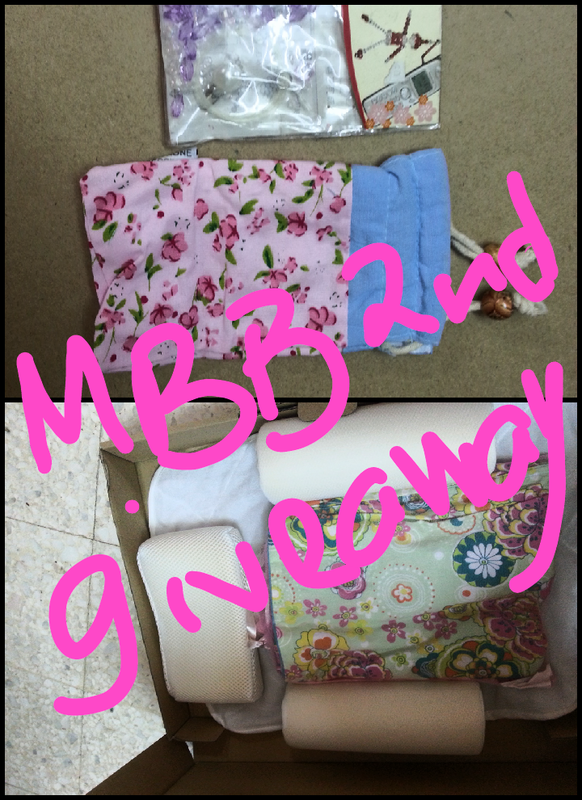 They are total six entries for this giveaway. You may check here who are the participants. I written down the numbers of participants on the paper then I cut the paper and stick on the balls. They are six balls for six participants! No kidding now I am sure you like to know my son has pick a winner with his eye blind fold. His hand has got the number 6 ball, so you know who is the lucky participant in no.6? Check out the link above now. Winner goes to no.6, you need to email me at sherrygo at hotmail dot com with your full name, address and contact number. You have 48 hours to email me or I will choose a new winner! 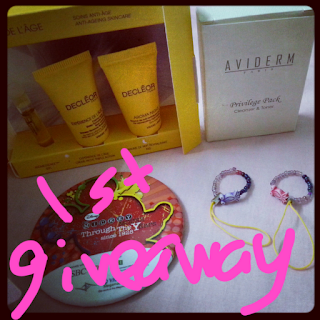 From this 1st giveaway my blog now with 27 GFC followers at my blog. Thank you! thats all above for the participants of my 1st giveaway. I received this product for review, I love this 360 proto purple nail colour as you can see it is purple colour. 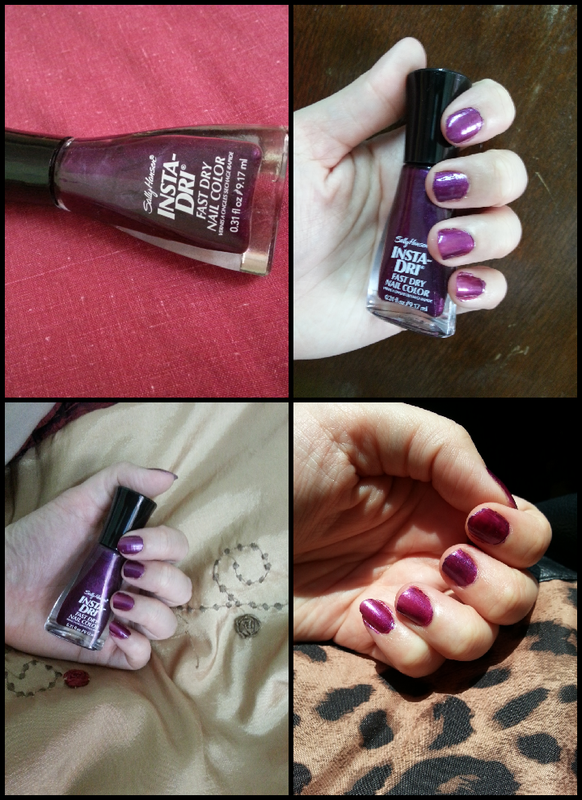 This is Sally Hansen Instra-Dri Fast Dry Nail Colour, I love the brush on this polish. My baby boy is 15 month old and he's so active, but you know what? Before he can mess up the place, the nail polish dries very fast. After finished apply the first coat, I can just apply the second coat this nail colour. They are not too thick or thin and normally only take two coats to cover. You can find this product at Guardian or Watson. 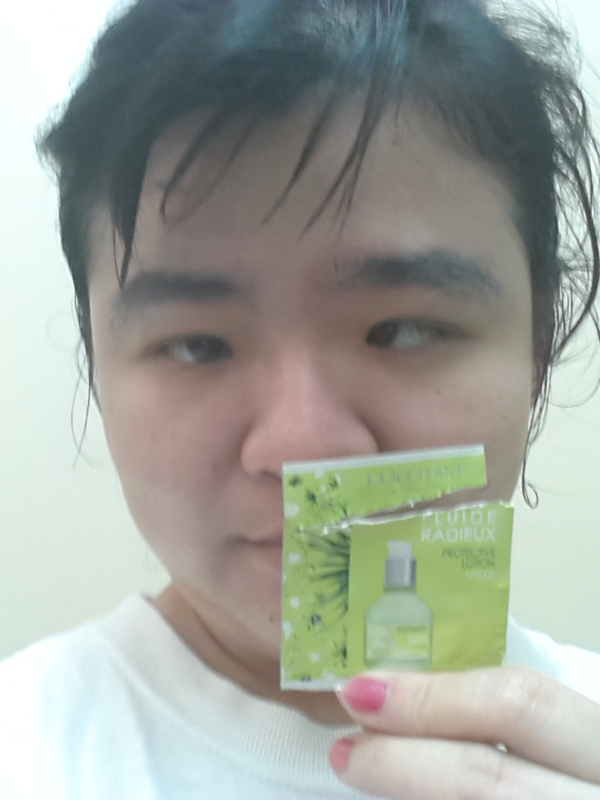 I collected the Loccitane card last weekend and they gave me this sample. It is small sachet as you can see only can use up to two times. 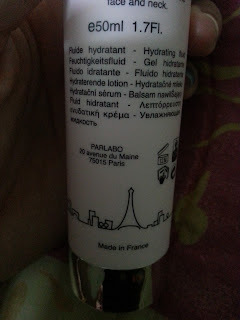 It is protection lotion with SPF 15, it gives me fair skin are you can see in the picture. 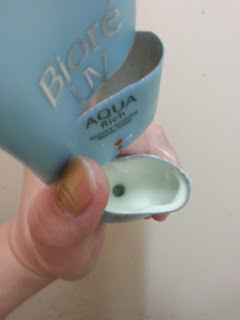 I use this as last step for skin care product in the morning. Sorry for my tiring looks, Thursday is usually a full day tireness of me. I purchase this bottle 250ml with the voucher and add some money when I had spa there at Skinzense@ First Subang Mall. This bottle comes with another bottle of lotion. I find the bottle difficult to squeeze out the cream to use, yeah making my hand tired! The bottle cap cannot be open at all, it is stucked that way so even though left a bit left in bottle cannot squeeze out. :( The texture of the cream is think as you can see in the picture, it sticks to my hand. There is no need to use big amount of cream just fifty cents of size enough for whole body. I love the smell of this UHT Milk and Sea Mineral shower cream. The UHT Milk shower is a creamy shower for the daily skin care of the whole body, I used it once or twice a week only. 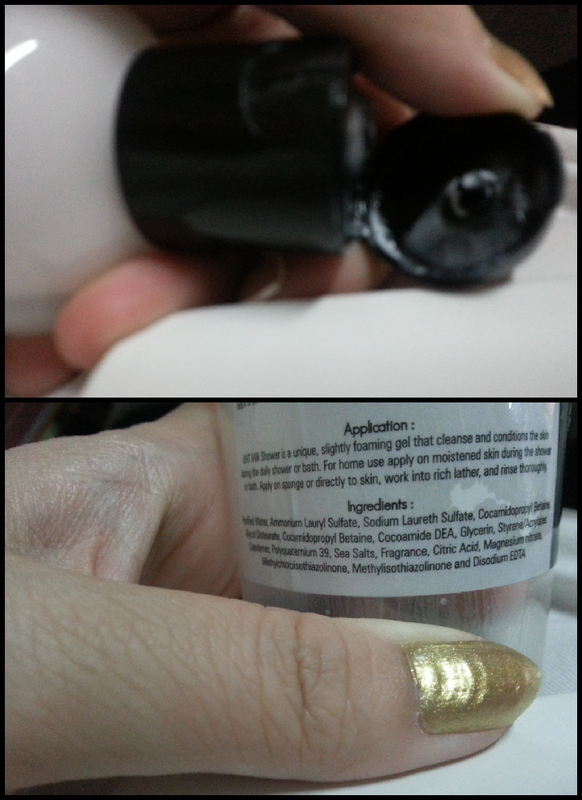 :D It contains silica that may cleanse skin deeply with cleanse the dead skin cell. It also helps to purifies, conditions and reveals smoother, moisture and provides vital nutrients for the skin. Ingredients can refer to above picture. Do you cut the tubes? I cut the tubes because I know there's some more cream left in the tube, look I am right I have got more than cream to use it can last me for three days. I put on the Biore UV Aqua rich watery essence twice a day for morning and evening. It is SPF 50 +, PA +++. I often use this brand because I find it suitable for my skin. I have purchase this brand for numberous of time. 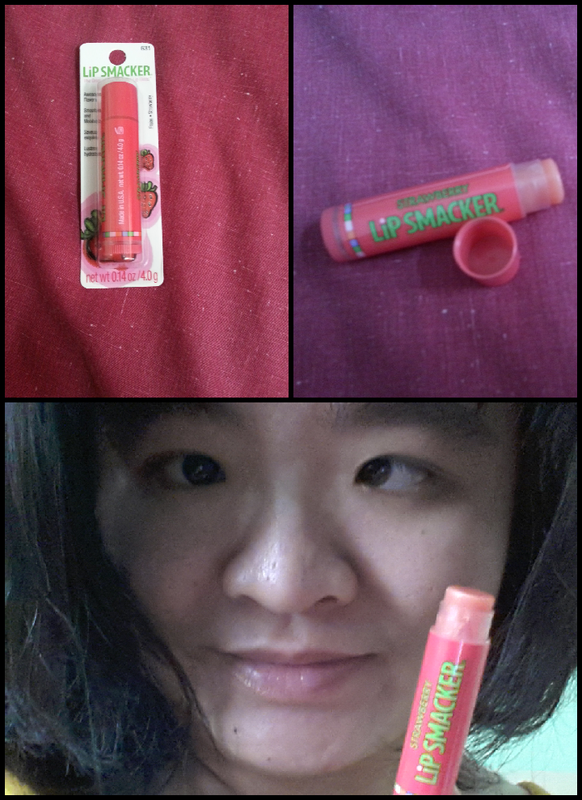 Sometimes you can get great deal from Watsons, I saw it the other day it is selling under RM30. Sometimes pressing the tube too much out, so I would apply them on my hands don't waste them. Have you try this brand do you like it?